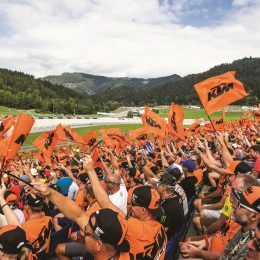 The covers were thrown off the 1290 SUPER DUKE GT last November at the EICMA show in Milan but the first time that anyone outside of Austria has grasped the handlebars in anger happened last week with the international launch on the roads of Majorca. 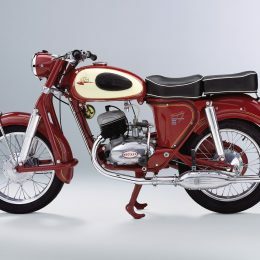 We asked Street PR Manager Luke Brackenbury for three first impressions gathered from motorcycle press that had travelled across the continents to the Spanish island regarding Mattighofen’s newest machine and – in typical style – a motorcycle that cannot quite be pigeon-holed. So, what principal feedback surfaced? Arguably KTM’s most advanced vehicle in terms of electronics and rider assistance ‘tools’ (cornering ABS, traction control, motorcycle stability control, even a quickshifter and you can add hill hold control and a motor slip regulation also) the package hones what is already a meaty source of power from the LC8 coming in at 173hp. 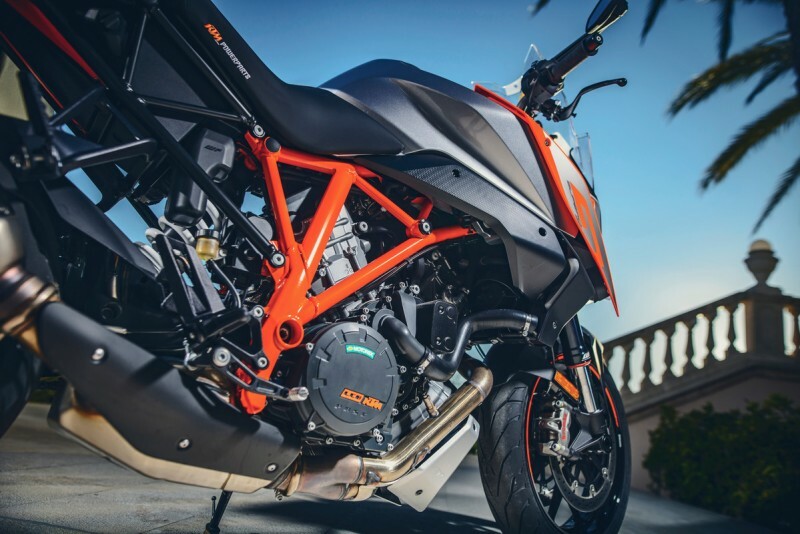 The 1290 SUPER DUKE GT seemingly takes the sporty heart of the 1290 SUPER DUKE R, beefs it up and then smoothens out that torque even more to add the touring element to the GT. The 75 degree V2 is ride by wire but with the engine management systems in place riders at the launch were exploring the versatility of the LC8 and the potentially different roles the GT could fill. Part of the security has to do with the chassis of the GT and the semi-active suspension from WP Performance systems. 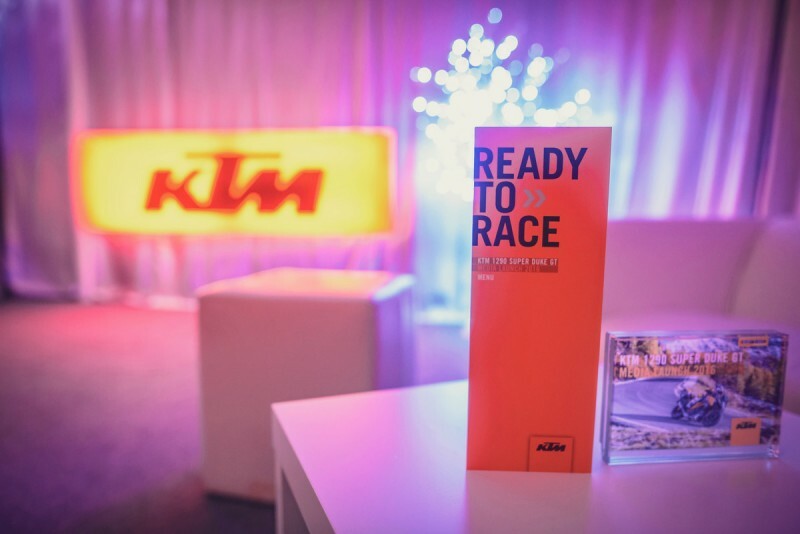 Our KTM press kit tells us that the GT ‘combines an extremely lightweight but torsionally highly rigid trellis frame and a beautiful, single-sided aluminum swingarm with the highest quality WP suspension components, unsurpassed Brembo brakes and sticky Pirelli Angel GT tires’. Technical specs of a modern flagship motorcycle now involve various acronyms: MSC, HHC, C-ABS, SCU (suspension control unit for that one) and so on. Simple weight, horsepower and dimensions are not enough any more. 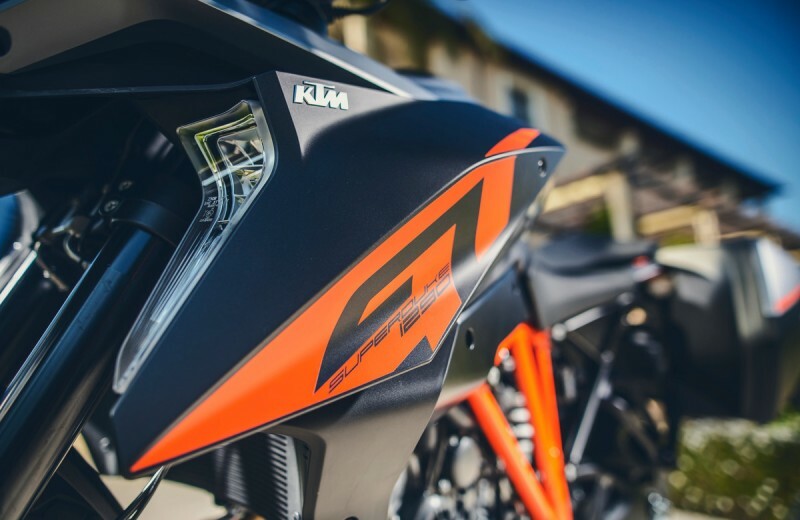 The GT is a bold, cutting-edge thrust into the future of street motorcycles for KTM and a fine example of how the bike works just as much as the rider when travelling at pace thanks to all the aspects of the package functioning together. 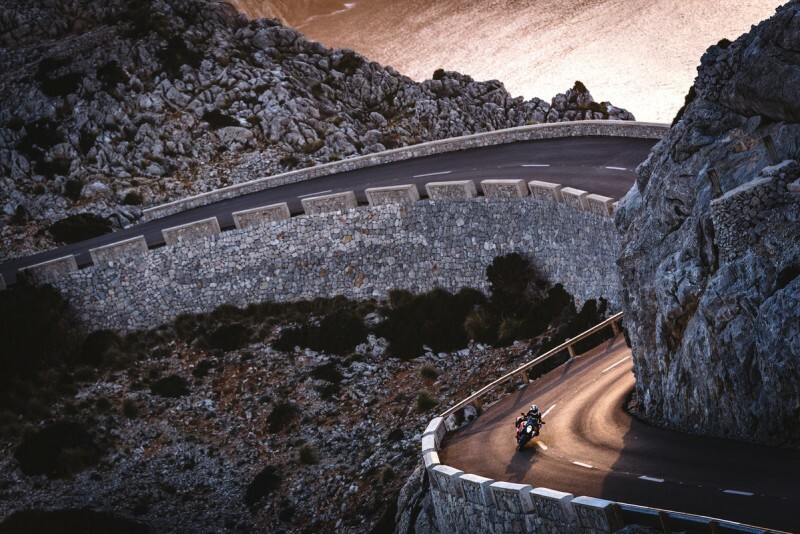 Aside from the power, the seat, screen and comfort it appears to be the ‘rideability’ of the GT and the melting pot of the electronic aids and engine management system that is making the new bike cause some excitement. At this point we felt compelled to ask: were there any concerns? “There were only compliments for the GT and you would expect that but it was curious to hear some of the faster guys querying the amount of rebound on the damping in ‘Comfort’ mode … but we were riding them quite hard and the good thing about the bike is that you can program the suspension to however you want it.” It seems that under the long list of selling points the shape-shifting capacity of the GT is perhaps the most impressive overall element of this bike. Or is it? One word surely for the Kiska-created styling. 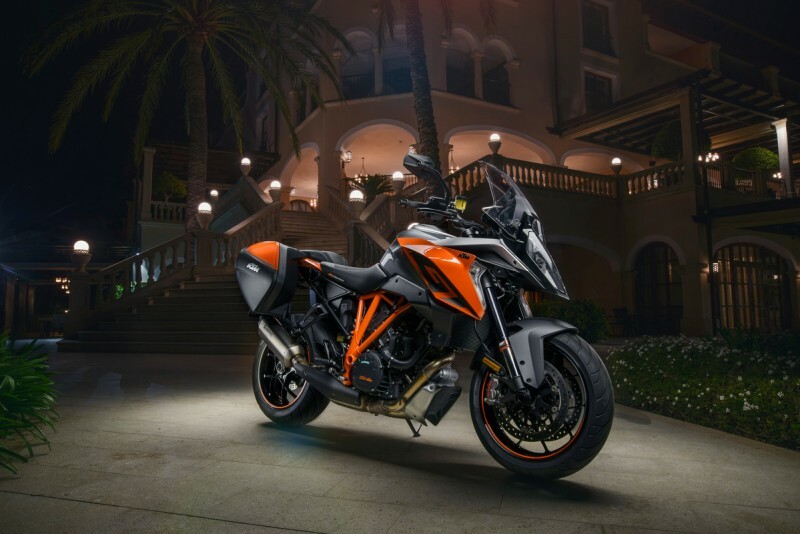 Hey KTM 1290 SUPER DUKE GT looks really amazing and i can this bike deserve to be featured on all big sites. I colf sell my Bmw GS triple black to buy The very fast Ktm 1290 GT, but I’m afraid: is The quality of The body And parts tha same if Bmw? I had a triple black that corroded very badly in under two years. BMW accused me of not cleaning it, cleaning it aggressively and using the wrong cleaning materials. They would not do anything for me. Disgusting. Bought KTM 1190 Adventure and after 3 1/2 years of the same treatment was still like new. I now have 1290 GT. 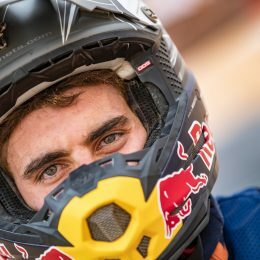 My advice would be bin the corroding, poorly built, badly supported BM and get the KTM! !